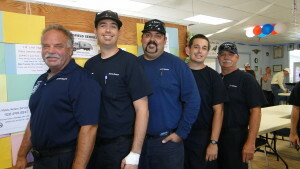 Today our friends at Mayer Fire hosted a meeting of our regional hazmat teams. 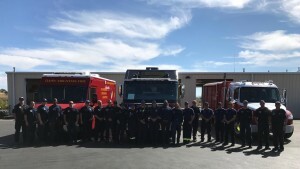 The Prescott Area Hazmat Response Team (comprised of CAFMA and Prescott FD member…s), Daisy Mountain FD (from the North Phoenix/Anthem/New River area), and Copper Canyon Fire and Medical Authority (from the Camp Verde area) brought their hazmat trucks and several personnel together for some familiariztion. The goal today was to discuss each of our hazmat incident response capabilities, see equipment we use, and get to know one another. It was a great success and we look forward to working together in the future through training and other opportunities that we can partner up on. We really appreciate our regional partners! 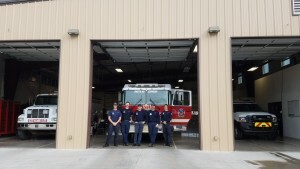 Pictured below from the left is DMFD HM145, CAFMA/PFD HM1, and CCFMA HM811. 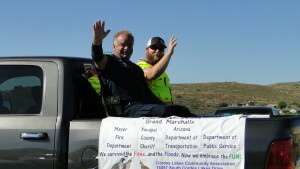 This past weekend Mayer Fire joined the Cordes Lakes Days festivities along with partaking in the annual parade. 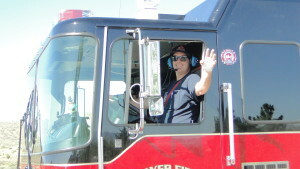 Our crews always interacting with our communities while not on emergency calls. 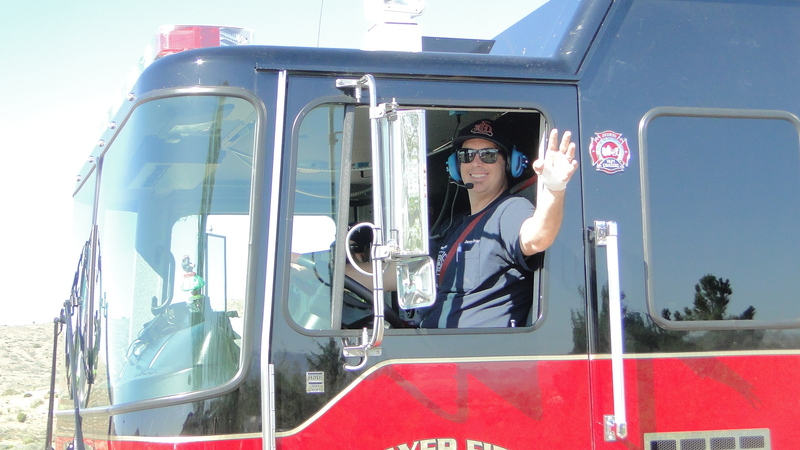 Please click on the link below for current fire restrictions. As a precaution Mayer Water District is asking residents to boil their water after last night’s flooding. Water is available to residents at the Mayer Rec Center and at the Mission Church in Poland Junction. Please see the attached document for more information and tips on water safety. We would like to give kudos to the Spring Ridge Academy students in filling 250 sandbags for the community of Spring Valley. A lot of hard work was put in! 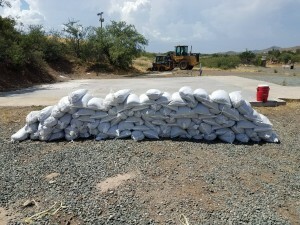 Please download and share the link below regarding flood control and what steps you can take to mitigate any future issues. There will be a community meeting at the Mayer High School on July 5th at 6:00 PM. The address is 17300 E Mule Deer Dr. Mayer, AZ 86333. Topics discussed will be how to prepare for after fire flooding as well as “Turn Around Don’t Drown”. 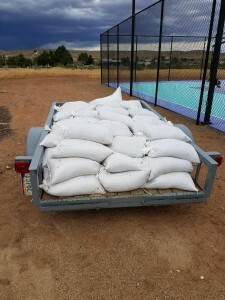 Sandbags and sand are available at the following locations. Bring your shove to fill your own bags. As of 4:00 PM the Emergency Operation Center and the Emergency Phone Bank are closed. Residents in need of assistance can call 928-771-3321. The Mayer, Poland Junction, Spring Valley, and Cordes Lakes areas are extremely susceptible to flash/flooding due to the effects of the Goodwin Fire. Please view and share with your neighbors the two documents below regarding flood awareness and safety. 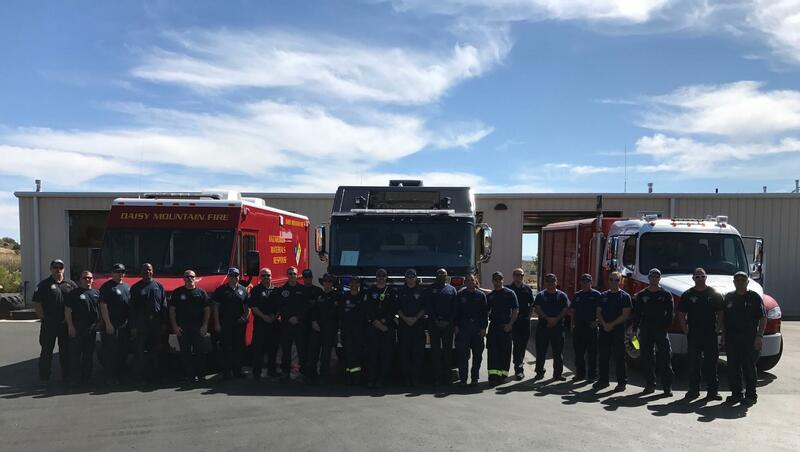 Mayer Fire along with the Yavapai County Emergency Management Department will be sharing information in the days and weeks to come. July 2, 2017, 8:00 a.m. Firefighters made excellent progress overnight burning out an area near the northwest corner of Big Bug Mesa, east of Breezy Pines. The burnout operation is expected to be complete today. Additional fire retardant has been applied on this section of the fire to help reinforce the perimeter. Patrolling, mopup and fireline rehabilitation continues to take place along the 62 miles of fire perimeter. Patrol flights yesterday saw little smoke coming from the southern and eastern portions of the fire. However, smoke could be seen from burning interior islands of vegetation and the burnout operation in the northwest. The public is reminded that smoke seen coming from interior portions of the fire is not a cause of concern at this time. Some ash devils were noticed yesterday and firefighters remain vigilant to ensure embers are not carried across firelines. Winds are expected to be higher today with gusts from the southwest possibly reaching 25-30 mph. Evacuation information: Although some evacuations have been lifted and roads reopened, property owners are urged to remain vigilant and monitor fire news. There is still active fire behavior, particularly in the northern portion of the fire, and conditions can change easily if impacted by high wind events. 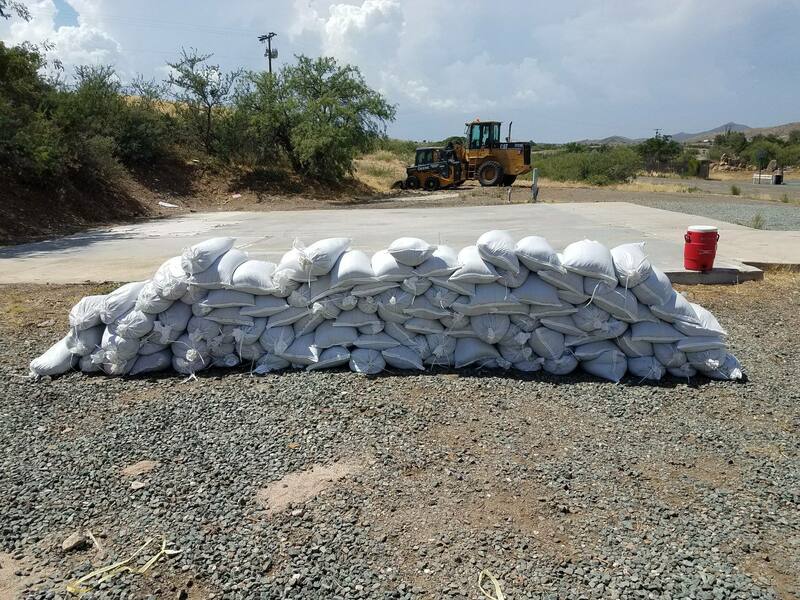 These communities remain under mandatory evacuation: SR 69 – west side from Grapevine Road north to Milepost 280, Poland Junction- west side, Pine Flat, Breezy Pines, Walker, Potato Patch, Mount Union, Mountain Pine Acres. 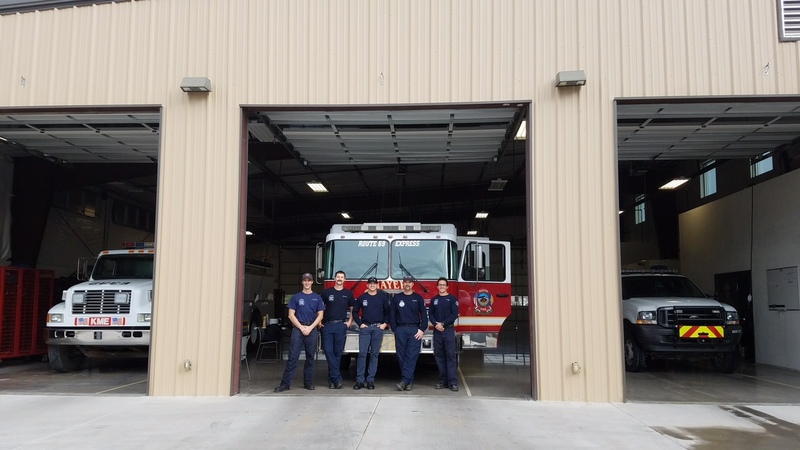 Please note: The Blue Hills/Upper Blue Hills area has fire suppression sprinklers that were installed by firefighters in various portions of the community. Please keep these areas clear and allow fire officials access to do their work. For additional information regarding evacuations and pre-evacuations please call the Yavapai County Emergency Operation Center at (928) 442-5103, 7am – 7pm. National Forest (www.fs.fed.us/r3/prescott) or Inciweb (https://inciweb.nwcg.gov/incident/5278/) for maps of closed areas.